I was 18, and my first car was a Mercury Sable station wagon. Eggshell-tan, except for where the paint was peeling to reveal a lighter color underneath. Inside, the upholstery was ripped and if you plopped into your seat too hard dust would fall from the exposed and brittle insulation in the ceiling. The license plate was ‘EGY-4849’, so we called my heroic steed ‘Eggy’. 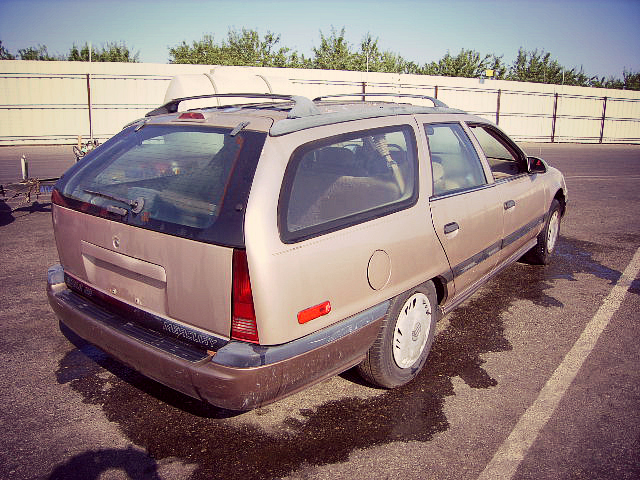 Oh, and I forgot to mention… this car was one of those stylish station wagons where you could pull the floor of the trunk up into a rear-facing seat. Needless to say, all of my friends BEGGED to go riding with me. One warm day in spring, my bestie and I decided to go to the mall. In Eggy, which was an instant ticket to high class. In the true spirit of the season, we donned our girly best, and I distinctly remember wearing a new yellow dress. It was a short, fluffy dress, and I remember it because I didn’t have a lot of yellow clothing at the time and because I didn’t wear many short dresses and because girls just do remember stuff like that. Laughing and listening to the radio and joking about –well–things girls joke about, my friend and I were long-gone on our merry way when we heard a strange sound. Peering dubiously out the windows while speeding–well, less polite people might term Eggy’s locomotion as ‘careening’–down the highway, we tried to figure out where this foul aircraft could be, and why it was hovering so low. Turns out, there was no helicopter. There was only one dysfunctional Eggy station wagon, one wheel decidedly flat, just past the off-ramp 4o minutes from home. We called my dad. He was away from home, but tried to tell me what to do. At that point in my life, my only idea of a jack, other than my cousin Jack, was the large kind that are used in a mechanic’s shop. I saw nothing of either sort in the trunk of my car. So there I was, sitting in the trunk of a horrifically ugly station wagon, my little yellow skirt blowing in the breeze, trying to decipher what in the hoot my Dad was trying to describe to me above the racket of passing traffic as my friend did her best to aide me. We were the perfect picture of two damsels in distress. What do you know, but a car pulled over behind us. We, being young, dumb and trusting in the entire factuality of unhealthy local news stories circulating at the time, were petrified with terror. I tried to tell him no, while my dad, still on the phone, tried to tell him yes and my friend sat in the car grasping the keys with white-knuckled force. Finally, David’s dad, seeing he was getting nowhere, just knelt down and started loosening the lug nuts. He tried to make comforting conversation. 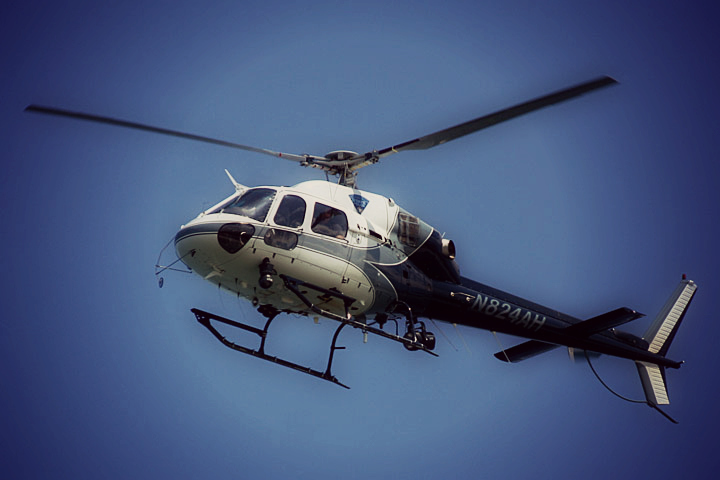 “N… nooo.”—“we thought we heard a helicopter…” my brain wanted to finish, but I didn’t say that part out loud. Somehow, I got the faint impression that David and his father didn’t have the highest opinion of our common sense. Another rackety vehicle pulled over. This was becoming quite the scene. My friend would never want to go shopping with me again! These people were strangers as well. “Oh. I’m fine.” I said, and they eventually went on their way, still not convinced that I wasn’t the girl they thought I was. David’s father had the spare on within minutes, and instructed us about the speeds with which we could drive on it. I was so flustered, I never even tipped him. But I did say “Thank you” with strongest feeling, and shook his honest hand while vowing never to judge a person by their appearance again. Then my friend and I darted into Eggy’s safe recesses, shivered a little, laughed a little, and continued on our way to the mall, the indomitable high spirits of our youth restored by the pleasant outcome of our unfortunate situation. But I still felt guilty for not tipping David’s dad, so I prayed blessings upon him for a week. This morning, I blew a tire. Impressively enough, I didn’t sweat it. I just pulled into Hess, shoveled to the bottom of my overstuffed trunk, pulled out my spare, and had that puppy changed in 15 minutes flat. Sitting here now, I laugh about the difference between today and the first time I had car trouble. It’s amazing how time changes things. And it’s amazing how real friends remain your friend for years and still want to go shopping with you…. even if you break down in an ugly station wagon named Eggy, are scared of strangers, and get grease on your new yellow dress.